Does the Treasury care about renewables at all? Firstly, I was really quite shocked to read in a blog by Prof Brian Ashcroft of Strathclyde University that he believes that around 70% of all oil and gas industry post-tax profits are remitted abroad. According to Ashcroft, this amounts to around £19billion which if correct is an astonishing figure which he says “reflects a high degree of foreign ownership”. This is scary. Such an extraordinary level of reliance on foreign ownership of such an important industry can’t possibly be healthy for our economy and perhaps goes a long way towards explaining why – as I mentioned last month – our R&D expenditure is so pathetically low compared with Norway. Actually, I would bet that in Norway these figures are reversed. I wouldn’t be at all surprised if over there less than 30% of post-tax profits are remitted abroad because there are a lot less foreign companies. Different attitude you see. They think strategically and we don’t. 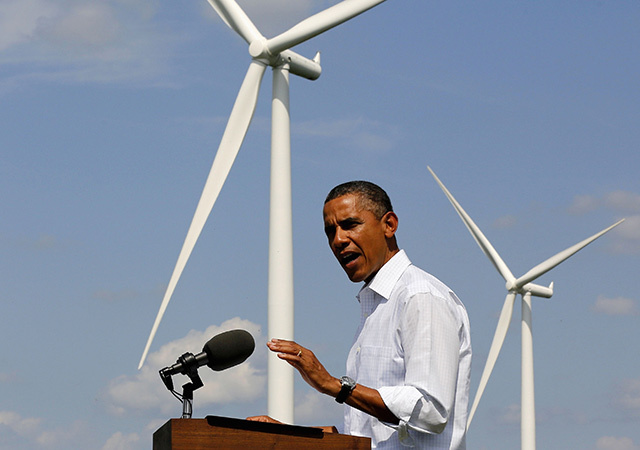 The danger now though is that history is going to repeat itself with the renewables sector. Energy has repeatedly warned of this over the past decade. Just looking back over the year since the last All Energy conference and exhibition I’m finding it very difficult to come up with any examples of a UK or Scottish company introducing something new or entering other parts of the market. I’m now really concerned we’re not just letting our competitors snap up the best bits of what we have developed but we’re not actually competing in sectors that we should be competing in. The proof of that pudding is, of course, that so many overseas companies are moving in. If we were competing properly then they would think twice about setting up here. But then the “system” the government has set up isn’t aimed at creating a renewables industry but developing mechanisms to achieve the various government policy aims on carbon emission reductions, percentage of electricity from renewable sources and so on and so forth. So, we tend to set up companies that meet these policy needs and they do things like consultancy, windfarm development planning and, of course, carbon trading and offering advice on how to reduce a company’s carbon emissions and energy consumption. That said, some companies are offering important and valuable services such as surveying and subsea remotely operated vehicle support although no heavy lift vessels or cable laying now. In terms of timing, the introduction of policies also never allows for the development of new technologies. By this I mean that when we develop new policies we rarely consider the industrial potential. A classic example of this is the so-called Smart Meter. The government’s plan is that every household and business should have one of these. That means millions of the things will be bought and installed but as it looks now none of them will be manufactured by a UK company. How stupid is that? In fact, the more I read and hear about the attitude of the Treasury in particular I seriously wonder if they care about renewables at all. I get the feeling that actually the Treasury is keeping its fat fingers crossed that, in its forthcoming report, the British Geological Survey team will say that there is so much shale gas available that we can completely forget renewables for the foreseeable future. Another threat to renewables is coming from nuclear. If the London Government ever gets its act together and comes to a deal with a potential reactor builder then the cost may well reduce funding for other technologies. There’s also little doubt that the Coalition would much prefer to have a plentiful supply of nuclear power than anything else even if it means relying on French or even Chinese semi-state owned companies to build and operate them. At the same time though, I’m completely mystified over the refusal of the National Grid to balance out the costs of grid connections rather than price them geographically. Actually, that’s wrong. I can understand some mindless civil service type – perhaps an ex investment banker – coming up with that sort of idiotic proposal but what I don’t understand is why the Government didn’t tell them to drop it. All that said I do have some good news. Things are now stirring in at least one part of the renewables sector. The Scottish Government’s Energy Advisory Board of which I’m honoured to be a member has agreed a proposal I developed to set up a forum on Future Fuels. The forum consists of a mix of members from academia, industry and government bodies and its aim is to design a strategy for the development of a Scottish renewable fuels industry. That means determining where the best opportunities lie, looking at whether we have the skills to build such an industry and, of course, working out which fuels provide the best potential. The forum is “time limited” which means that once its job is done it will disband. It’s exciting stuff because it does look as if there is much more knowledge and expertise around this topic than perhaps was originally thought. While looking at the better known fuels such as ethanol and bio-diesel the forum is also considering butanol, bio-kerosene, hydrogen, ammonia and others and, of course, a range of production techniques that, given the high level of life sciences expertise in Scotland, could include synthetic biology. We have a head start given the work being done by Argent on bio-diesel, Celtic Renewables on bio-butanol and Scottish BioEnergy on algae applications. This is a good base on which to build. 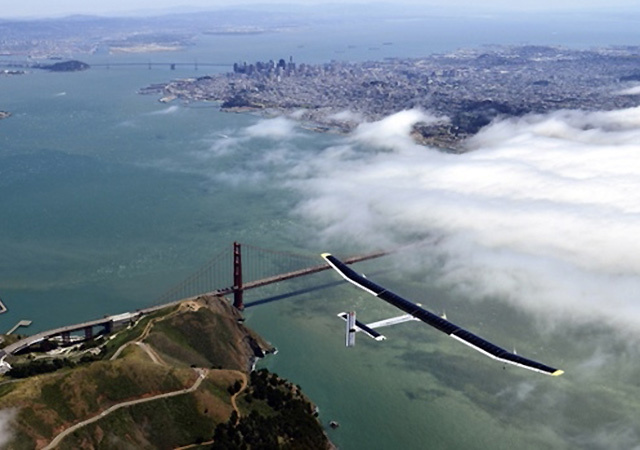 So while I find it intensely annoying we never seem to have any projects that can match – for example – flying a solar-powered aircraft across the US, perhaps we’ll soon be able to demonstrate a range of new fuels transport, energy storage and heating. Not quite as spectacular perhaps but considerably more important.